Next gen payment options lead to large revenue loss for UK SMBs. 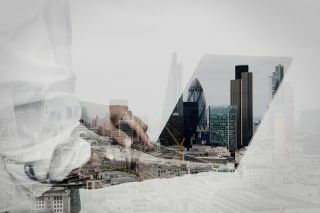 UK SMBS face a variety of challenges as they strive to remain profitable in an increasingly competitive market according to new research from NCR. The company's new survey found that keeping up with customer expectations when it comes to next gen payment options is leading to an estimated revenue loss of up to £28.5bn per year. NCR's study also found that SMBs that offer limited payment options lose an average of 68mn transactions each month and up to 820m customers a year. Unsold products also contributed to heavy losses for nearly a quarter with 26 per cent of businesses surveyed reporting deficits of over £2.2bn per month. Half of the businesses questioned by NCR recognised the importance of choosing the right commerce platform and understood how it impacts their profitability, 42 per cent confirmed it was not a priority for them. Though using a commerce platform could help streamline processes for the 23 per cent of firms that spend more than 20 hours per month compiling reports. Customer retention was also found to be a key contributor to annual growth alongside competitive pricing and a successful marketing program. Of those surveyed though, 49 per cent admitted to not understanding their customer's needs with one in four reported losing £20k per month by not meeting their demands.